The Department of Diabetology at the Preventicum Diagnostic Clinic specializes in the early diagnosis and comprehensive treatment of patients with type I and type II diabetes mellitus. The specialists of the department, headed by Dr. med. Benno Schulze Schleppinghoff, provide medical services in accordance with the latest diagnostic and treatment standards. Untimely diagnosed diabetes can not only lead to significant damage to the eyes, kidneys and nerves, but also presents a particular risk to the health of the heart and blood vessels. Currently, there are simple but very reliable markers that can accurately determine the risk of diabetes for metabolism and the cardiovascular system for eac patient individually. The most common diseases, diagnosed and treated by the doctors working in the department, are type I and II diabetes, diabetic neuropathy, diabetic foot, secondary diseases, such as kidney failure, micro- and macroangiopathies. Also, the department provides medical care to insulin-dependent patients. Dr. med. Benno Schulze Schleppinghoff has been working at the Preventicum Diagnostic Clinic since January 2015. He is a specialist in internal medicine, diabetology (a member of the German Diabetes Society) and psychotherapy. 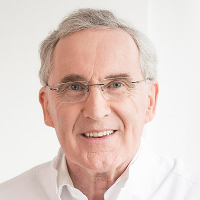 Based on many years of experience in the treatment of patients with diabetes, Dr. Schulze Schleppinghoff developed a preventive program "Stop Diabetes Type 2". Diabetes is one of the most important areas of prevention in the world. Dr. Schulze showed interest in diabetology during his work at thesis. He held a senior position in the Diabetes Center at the Hospital Elizabeth in Essen (under the supervision of Prof., Dr. G. Boersch). During this period, the doctor's significant achievement was the certification of the Diabetes Center. In 1993, he obtained permission for private medical practice in Essen and founded a well-known local Diabetes Center.